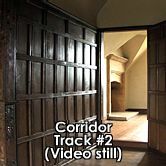 The tracking clips shoot along the length of the corridor, at right angles to the alcoves, windows and small central room (known affectionately as Room 101). 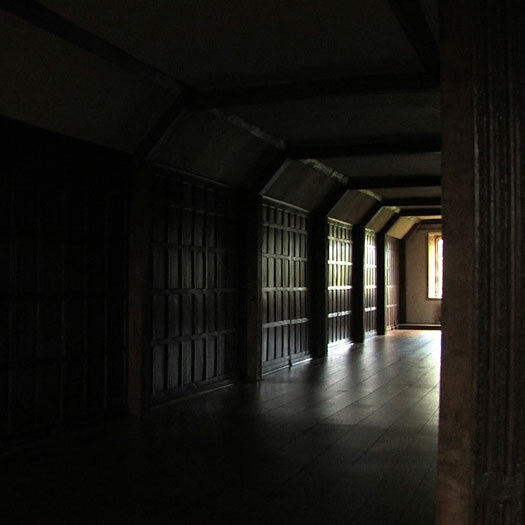 Interruptions of light between dark oak panelling ‘puncture’ the darkness, or conversely the dark sections ‘puncture’ the light. 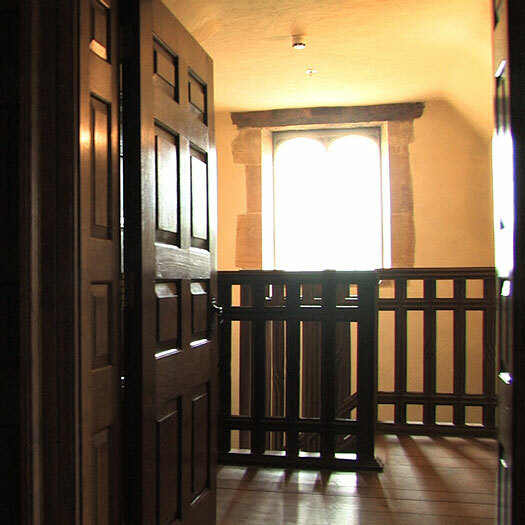 There is a parallel here with the earlier window clip (see Current Works) where geometric, grid-like interruptions are made by lead beading and stone mullions. 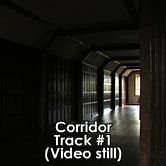 An interesting dialogue is set up between light and dark, between conceptual space and void and I may think about this as a way of analysing the difference between Western analogies of light and enlightenment and Eastern traditions associated with the space of nothing and notions of the void and emptiness. Where Western philosophies have conceptualised, Eastern thought endeavours to find enlightenment through the relinquishing of conceptual frameworks - both seemingly creating a space of letting go, allowing the essence of otherness to enter.